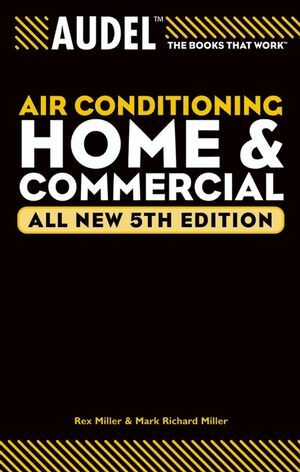 Like its earlier editions, this fully updated guidebook is packed with practical information on installing, servicing, maintaining, and trouble-shooting air-conditioning systems. Whether you're an AC professional, an independent repair technician, or a cost-conscious homeowner, everything you need is here. Clearly organized and loaded with diagrams and illustrations, it's a vital addition to your toolbox. Rex Miller was a Professor of Industrial Technology at The State University of New York, College at Buffalo for more than 35 years. He has taught on the technical school, high school, and college level for more than 40 years. He is the author or co-author of more than 100 textbooks ranging from electronics through carpentry and sheet metal work. He has contributed more than 50 magazine articles over the years to technical publications. He is also the author of seven civil war regimental histories. Mark Richard Miller finished his BS degree in New York and moved on to Ball State University, where he obtained the masters and went to work in San Antonio. He taught in high school and went to graduate school in College Station, Texas, finishing the doctorate. He took a position at Texas A&M University in Kingsville, Texas where he now teaches in the Industrial Technology Department as a Professor and Department Chairman. He has co-authored seven books and contributed many articles to technical magazines. His hobbies include refinishing a 1970 Plymouth Super Bird and a 1971 Road-runner. Edwin P. Anderson was a professional engineer and the author of numerous books for the trades, including air conditioning, sheet metal, home appliance, and electrical.